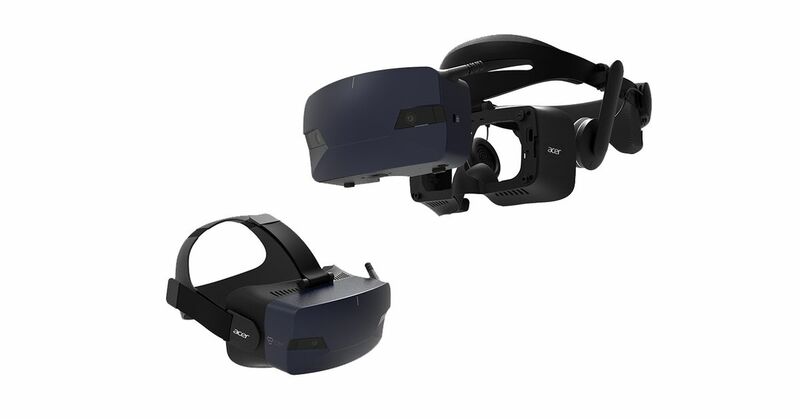 Acer today announces a new version of the Windows Mixed Reality headset at Berlin IFA. The Acer OJO 500 includes a modular design with removable parts. Designed for businesses such as museums and attractions that use headphones several times a day, you can remove the lenses and shoulder straps and clean them completely. Acer ships the OJO 500 with a hard or soft headband. The soft version is washable. You can return the mask of the helmet so you do not need to completely remove the helmet. Acer also includes the built-in pupillary distance wheel (IPD) for adjusting the distance between the screen and the human eye. This makes the Windows Mixed Reality application and the VR game a bit sharper and sharper. Acer also improves visibility with a broader view thanks to two 2.89 inch (2880 x 1440) LCD screens. Although Samsung has its own headset built into the Mixed Reality headset, Acer has created an "audio tube" that allows you to hear audio without wearing a headset. Also, if there is not enough immersion in space sound, there is also a built-in headphone with a strap. The Acer OJO 500 headset is available from US $ 399, from US $ 1199 in the US and Europe.